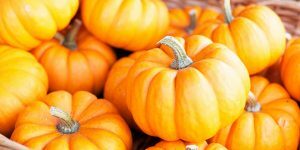 Pumpkin is not only an excellent ingredient for making truly autumn dishes but also a superb extract for your skin. 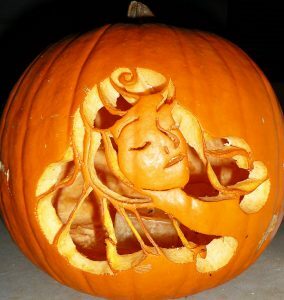 Pumpkin masks can be made literally for the whole body from head to toe. And the recipes for making masks are amazingly simple and effective. Take 200 g raw pumpkin, 4 tablespoons of low-fat yogurt and 4 tablespoons of honey. Crush everything. Pour the ingredients into a blender and apply the finished mass on your face for 10 minutes. Do this mask every week. 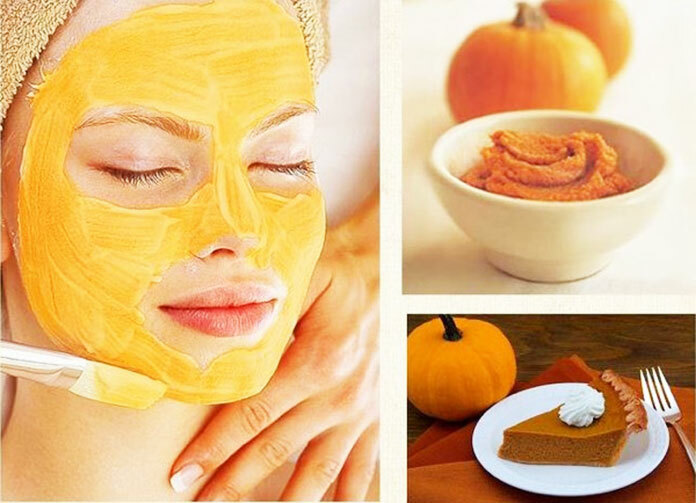 Pumpkin mask is suitable for all skin types, except for faces with spider veins. 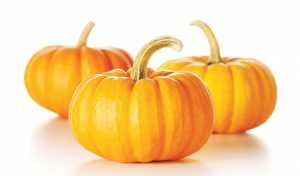 Rub the raw pulp of the pumpkin, place it between two layers of sterile bandage and apply on face. After 20 minutes, remove the remnants of the mask, and rinse your face with cold water. This mask is also suitable for all skin types. In gruel of 3 tablespoons of boiled pumpkin, add egg yolk and a teaspoon of honey. 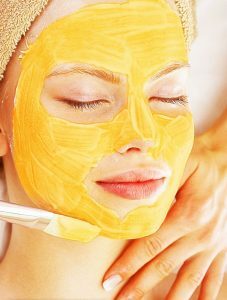 Next, apply the mask on your face for 10-15 minutes, and then rinse with cold water. 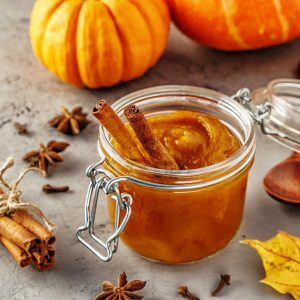 To get rid of acne, narrow pores and eliminate oily shine on the forehead and wings of the nose, it is useful to wipe the face with a piece of pumpkin. 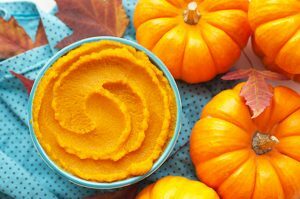 We recommend 2 tablespoons of boiled pumpkin, beat well and mix with 1 tablespoon of olive or other vegetable oil. Next, use the mask on the face for 20 minutes, then rinse with cold water. First, you need to rub the pumpkin and squeeze the juice out of it. The resulting juice is impregnated with a thin layer of cotton wool, and the slurry is applied on a gauze napkin or directly on the face. This mixture should be used to the face for 15-20 minutes, then remove and wash with cold water. Do this procedure 2-3 times a week. Course duration – 15-20 masks. It is advisable to alternate the mask of pumpkin juice and gruel. Boil in milk a few pieces of peeled pumpkin to a thick slurry. Next, 1 tablespoon of such gruel mix with 1 egg yolk, with 1 teaspoon of honey and add a little milk. Apply the mixture on your face and leave for 15 minutes, and after finishing rinse with warm boiled water. 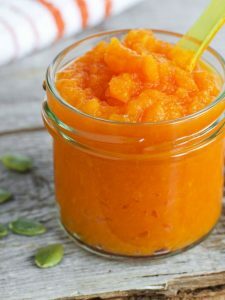 To a mixture of 1/3 cup of pumpkin juice with 3 tablespoons of oatmeal, add 1 egg yolk and 1 tablespoon of honey. All components are thoroughly mixed and then whisk with a mixer. Apply this mask on cleansed skin for 15 minutes, then rinse with warm water. Take pumpkin seeds, rinse them thoroughly, peel and grind to a gruel. Transfer the resulting mass into a glass dish and add chilled boiled water in a ratio of 1:10. All mix thoroughly until smooth and firmly covered with a lid. 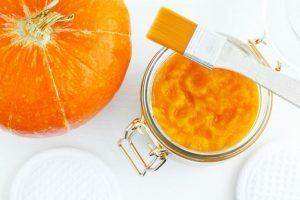 Before washing the head, wipe the scalp and the hair strands with pumpkin emulsion knit a cotton scarf or towel from above. After 20-30 minutes, wash your hair with a mild shampoo for your hair type and rinse it with acidified water (1 tsp of vinegar or citric acid in a basin of water). Mix 1/4 cup of pumpkin juice with 1 teaspoon of cottage cheese to make a homogeneous gruel. Next, apply the mixture on the lips for 5 minutes, after which wipe the lips with a cloth moistened with water at room temperature. Repeat this procedure several times a day. This mask perfectly nourishes and moisturizes the skin of the lips. 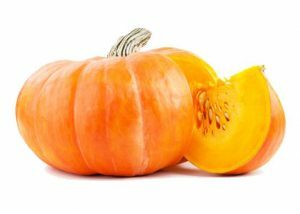 Grate the pumpkin and mix with peach oil (for example, add a teaspoon of peach oil to one teaspoon of raw grated pumpkin). Apply the mixture to hands and wear rubber gloves for an hour. The skin after such a mask becomes very tender.